Property Matters: Who Are We? Wondering who the people are behind Property Matters and why we have located our first office in Boca Raton, Florida? Our latest blog showcases our team, the business and why we chose the beautiful surroundings of Boca. If you have any questions, please do contact us in the Property Matters office on 561.508.9000. 1. Who is Property Matters? Property Matters is a new real estate company serving the Boca Raton region, and the first of our offices is located in The Monterey, Suite A, 5499 N. Federal Highway, Boca Raton, FL 33487. Our mission is to deliver the best real estate experience and help our clients achieve a better life. We were founded by a blend of American and British owners who share the same outlook on life; treat our clients as we would want to be treated – with respect, with good manners and compassion. We believe that we bring the best of British and combine it with the best of the USA to create a real estate company that will stand out in the market for our focus on client service built on a strong bedrock of trust, honesty and integrity. 2. Who is the team? The partners include Simon Isaacs, Paul Ross and Ted Brown. Simon and Paul have worked for over thirty five years in both the commercial and residential real estate sectors in the UK and ran successful operations before relocating to the USA to give their families a better quality of life and to broaden their international business activities. Ted Brown has been active in the Florida residential market place for over twenty years, acting as Managing Broker for some of the largest national US brokerage firms. 3. Why are we located in Boca Raton? We chose Boca Raton as the ideal location for the first Property Matters office based on our long-established family and business links to the region, and because we love the city. Boca is a thriving, vibrant location and a haven for family life. As a result of this, we are seeing a changing demographic as more families are attracted to enjoy all that it offers. Boca is also centrally located for future expansion both north and south through south east Florida. Paul relocated his family to the region, Simon lives locally with his family, and Ted is a long-term resident of over 30 years. It therefore seemed logical to establish the Property Matters flagship office in Boca Raton. 4. There are lots of realtors in the region; why should anyone choose Property Matters? We believe that the time is right for a real estate company to do things differently and break the mold. Our mission is to deliver the best real estate experience and help our clients achieve a better life, and we do this by combining experience, technology and vision. We also work in a collaborative way, and the structure of the company has been designed to minimize red tape, and help us to be more responsive to agents’ ideas so that we can support one another. In turn, we treat our clients as we would want to be treated – with respect, with good manners and compassion. 5. What experience do the partners have in real estate? Paul Ross is passionate about the real estate business. His career in the real estate sector started at one of London’s leading independent real estate advisory practices, METRUS, where he advised clients on strategic investment in high street retail, out of town retail warehouse schemes and offices in London and the south east of England. In addition to an advisory role, he successfully actively asset managed their investment portfolios. Whilst at METRUS Paul formed a partnership with colleagues to establish a long term investment vehicle, Freehold Properties (Investments) LLP and a limited lifespan trading company; external private investors in this venture included Lord Wolfson of Sunningdale, The Dowager Duchess of Bedford and the Duke of Bedford. Paul continues to consult for Freehold Properties (Investments) LLP which remains a successful endeavor and now owns assets in England, Scotland and New Zealand. In 2007 Paul and a single partner went on to form Tri Capital Properties in order to acquire and actively asset manage commercial and residential opportunities in their own right. Over the course of the last nine years Tri Capital Properties successfully bought, actively asset-managed and sold numerous investments in London and throughout the UK through arguably the hardest real estate market in memory. Paul relocated to Florida in 2015 and has formed Property Matters with his partners whilst he continues to advise clients in the UK who are building investment portfolios in Florida. He advises US investors on investment strategy in central London and the throughout UK and is personally active in investing in Florida’s residential market. Paul is married with two children and lives in Boca Raton. Simon Isaacs moved to South Florida in 2015 with his wife, a Palm Beach native, and three children. Simon, a long-standing entrepreneur and business owner, partnered with Paul Ross, his lifelong family friend, to launch Property Matters in the USA. Simon’s career began at Brewin Dolphin where he quickly worked his way from settlements through to the front office, eventually running their currency trading book, before moving to trading at City Equities. Simon then progressed to working in the family business. In 2009, Simon saw the business opportunity in recycling and he started L&P Trading, an international recycling and scrap metal trading operation. After building L&P Trading into a successful group, he sold the business in 2013. Simon’s long-standing love for the USA and Florida since childhood led him to make the move with his family to South Florida one of his favorite destinations. 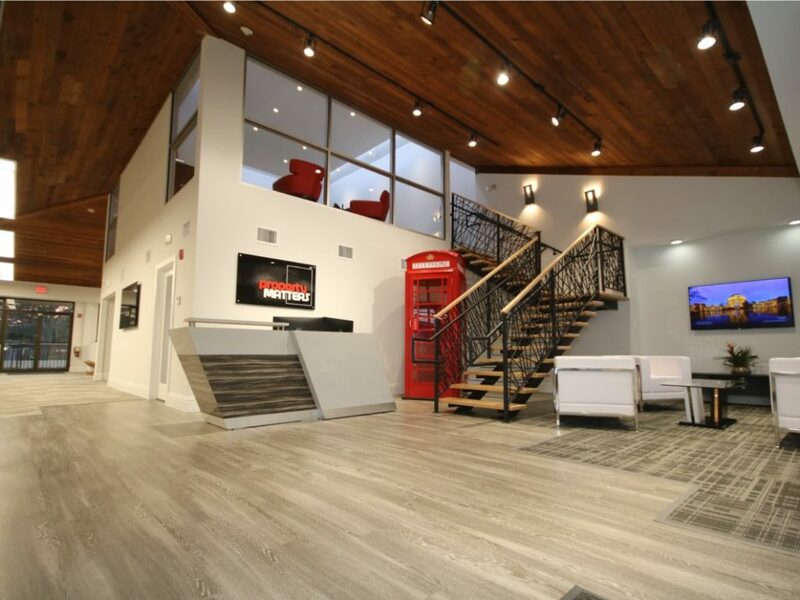 After acquiring an impressive portfolio of income-producing residential property, and significant knowledge about the South Florida real estate market, Simon and his partner Paul decided that founding Property Matters was a natural business move for the pair of them. The South Florida lifestyle has afforded Simon two of his greatest interests in life; opening a residential real estate company, and enjoying the culture, activities and weather with his family. Ted Brown is a highly experienced real estate professional in South Florida. During his extensive career, Ted has successfully managed offices for some of the best in the business including Arvida, Coldwell Banker, Prudential and Berkshire Hathaway where he effectively trained and managed a number of teams with quality of service always at the core. Throughout his career, Ted has embraced emerging technologies to meet the needs of the ever-increasing tech-savvy home buyer and seller in order to enhance the buying and selling experience. Ted’s passion for the industry is evident, and he has spent his career sharing this passion with his peers, and by focusing his energies on management and training opportunities to support and develop many agents throughout his thirty years in the industry. 6. What do we know about the local Boca Raton area? Two of the Property Matters partners have lived and worked in the Boca Raton area for many years. Paul’s children are currently attending a local Boca Raton schools, and Ted’s children, having been raised in Boca themselves, have now both settled in Boca to raise their families. 7. What is our real estate focus? As opposed to being focused on price point, we want to focus on listing at the right price. Any seller who wants to list their property at the market value has real estate that we’d want to focus on. When acting on behalf of buyers, their property matters are more important to us than the price point. 8. Are we involved with the local community? We are supporting the local community as much as we can by highlighting key events and activities through our social media accounts. We invite any groups that would like to broadcast their latest fund raising activities to share these with us. 9. We talk about technology, but how are we embracing technology? The Property Matters website propertymatters.net. Efficient back office systems used for speeding up and de-stressing the process e.g. electronic signatures. 10. How will we market properties? 11. Who do we want to join Property Matters? We want to attract, recruit and keep the best people in the real estate business and inspire them to deliver a first class, trusted real estate experience underpinned by integrity, honesty and authenticity. We believe that as we grow, we will naturally attract more talent that will ensure Property Matters is regarded as one of the leading realtors in Boca Raton and the surrounding region. 12. What do we offer our agents that is different to other realtors? We believe that we are different to the large realtor groups and other local realtors in the area because of our vision and values. We can offer an opportunity to join a dynamic team that combines a wealth of experience and entrepreneurism with innovation and openness to new ideas and technologies. Our aim is to support our agents as much as possible giving them back time to service clients effectively and reduce their administration workload while enhancing the client experience. We also offer a short, simple and fair structure that doesn’t allow for any ambiguity on our behalf. By being transparent and fair on the costs we charge agents that work with us, we believe we stand out in the sector and especially in Florida. In this way, we are demonstrating a true collaborative spirit that will ensure the team’s goals are aligned. 13. What ambitions do we have? We expect our Boca Raton office to be the first of many other Property Matters offices across the South East Coast of Florida. Because of our extensive combined experience, we are also planning a management department for investor clients as well as a commercial department that we will launch in time.